Edgar V. McKnight is Research Professor and William R. Kenan Jr. Professor Emeritus of Religion at Furman University. 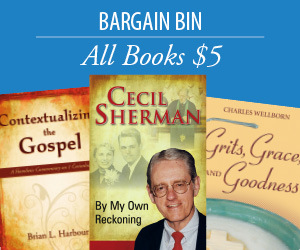 He is the author or editor of more than a dozen books in biblical studies. 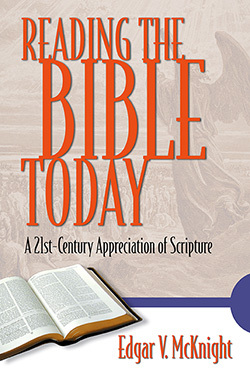 Reading the Bible Today: A 21st Century Appreciation of Scripture presents the results of four decades of searching and study for readers who want to relate their Christian faith to contemporary knowledge and insight into the nature and significance of the Bible. Written for conservative Christians, this book provides a thoughtful and balanced introduction to the Bible in its ancient settings, diverse translations, and contemporary uses. Rejecting simplistic affirmations about its character, McKnight testifies to the enduring power of the Word. Clearly and patiently McKnight explains how and why an understanding of the Bible as an historical and literary document is necessary and contributes to a fuller appreciation of the Bible as Scripture. We who seek to discern the word of God speaking through the Bible’s ancient texts are in McKnight’s debt. Edgar McKnight, a premier New Testament scholar, has written an extremely insightful guide for interpreting the Bible. Written for the non-specialist, this guide is clear, concise, and comprehensive. Every Bible study class in every church would greatly benefit from a careful reading and discussion of this book by Edgar McKnight.